The epitome of modern yet refined style, the Clovis Set of 2 Bar Stools Low are the perfect elegant addition to any home. Natural wood is complemented by a soft square seat, which comes upholstered in a range of premium colour options. The Clovis is available as a set of 2, making it easy to create your complete set. For something with a bit more height, see the Clovis Set of 2 Bar Stools High. For an odd number set of stools, see Clovis Low Bar Stool. The seat of the Clovis is ultra-comfortable, with foam filling and softened edges, accented by intricate bronze studding. Beauty is all in the detail, such as the elegantly carved legs of the Clovis, which have been crafted from solid Beech wood. Incredibly beautiful and unique furniture, very reasonable prices and great courier service. Love you guys! Lovely product , good price , excellent communication regarding delivery . Very good communication and products were exactly as described. Even thought we had to wait quite a while for our stools once they arrived they look really well made and of a high quality. Because you have a great selection, it's and very easy to order. Also the stools I bought from you are absolutely beautiful, much nicer than I thought and of the best quality. 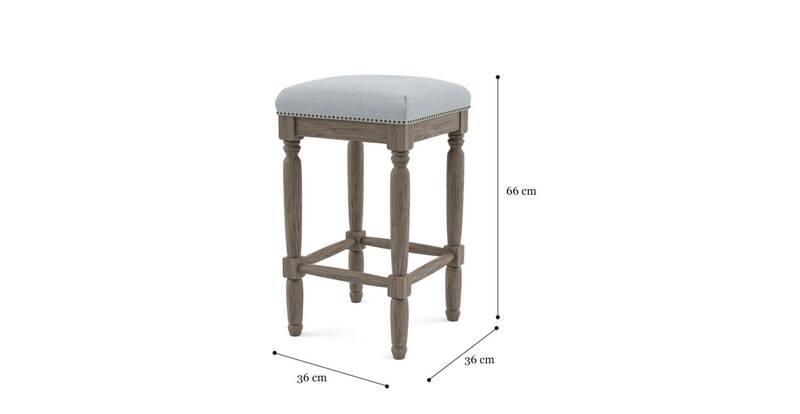 See, touch and feel our fabrics used on our Clovis Set of 2 Bar Stools Low. For Free! Simply select up to 3 fabrics and add them to your cart. Delivery is on us. Good news! Clovis Set of 2 Bar Stools Low is currently on display in our Alexandria Collingwood studio.